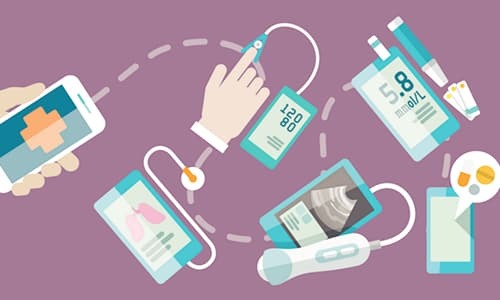 By Michael Rugnetta– The FDA wants to encourage the development of Health IT and Mobile Apps and has expressed a hands-off approach for low-risk forms of those technologies. Is that the right approach for the FDA to take? And how hands off exactly? What can mobile health companies do to ensure that their technology stays in the low-risk category? Back in September, the FDA released a guidance document on mobile medical apps, stressing that most mobile apps do not qualify as medical devices, and those that do are usually low-risk. the FDA analyzes risk based on functionality, asking whether the app poses a risk to the patient’s safety if the app fails to function as intended. if the app functions as an accessory to a regulated device or if it turns a mobile platform (like a smart phone or tablet) into a device, then the app qualifies as a device and the FDA defines it as a mobile medical app (MMA). In an effort to not ruffle too many feathers, the FDA repeatedly emphasizes that the iTunes App Store, the Android Market, their respective smartphone manufacturers, and Internet service providers are not considered device manufacturers. Nevertheless, the FDA’s light regulatory approach has raised concerns and questions regarding smaller players. The FDA’s September guidance announced that apps that are used within a single hospital system and are not marketed outside would not be subject to 510(k) clearance. Columnist Stephanie Kreml of Information Week worries that hospitals may be too quick to roll out software and subsequent updates without proper quality testing. Kreml suggests that healthcare organizations seek clarification from the FDA’s pre-submission program. So the real challenge for mobile medical app developers will be in ensuring the safe functioning of the software before it hits the market. It seems like the FDA won’t allow MMA manufacturers to rely on the frequent software updates seen in the non-medical app world. In an interview with government health it, corporate representatives have echoed these thoughts by commenting that the FDA has created an opportunity for entrepreneurs to innovate as they see fit without tuning the MMA industry into a total free-for-all. robert jarrin from Qualcomm says that labeling will be the major factor in determining if an app will be seen as a device by the FDA. So, if you want to ensure true innovation by creating value and maintaining safety for patients, it’s best to make sure that your app does what it says, does it well, and is ready for prime-time prior to release.